CatwalkHQ is a new and exciting Irish tanning brand which focuses on creating luxury beauty products through science and innovation. All CatwalkHQ products are made right here in Ireland using only the finest ingredients to ensure only the best product goes on your skin. 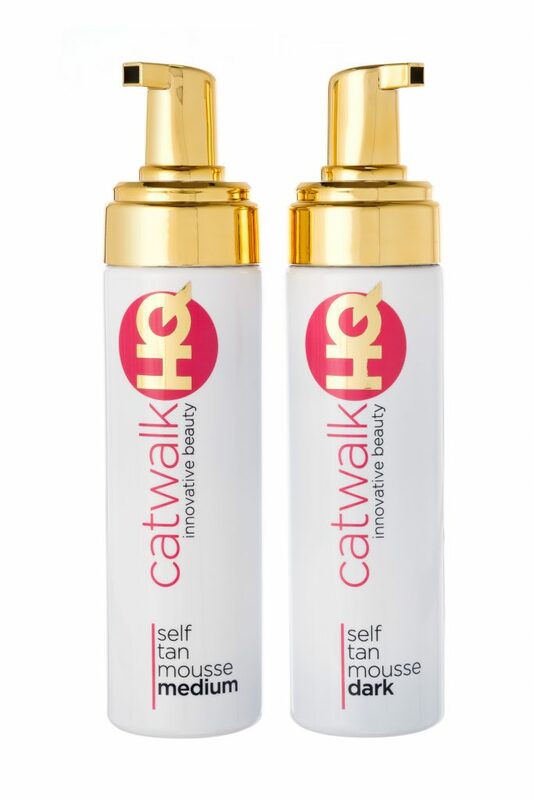 CatwalkHQ Self Tan Mousse is available in both medium and dark shades and has a beautiful guide colour which allows for a streak-free easy application that is ready to wear and gradually darkens in 2-4 hours. The formula dries in just 1 minute with no transfer on to clothes making it the perfect tan for girls on the go! CatwalkHQ Self Tan Mousse contains extracts which are high in anti-oxidants, vitamins, minerals with superfoods for your skin such as Goji Berry Extract, Red Raspberry Extract, Aloe Vera and Ginkgo Biloba Extract as well as hyaluronic acid to hydrate the skin ensuring the tan wears off gradually and evenly with no dreaded snakeskin effect! This unique combination of amino acids, hyaluronic acid and super extracts make the CatwalkHQ tanning experience an easy yet luxurious treat for your skin. CatwalkHQ is offering 20% off everything on www.catwalkhq.com with the code Catwalk20 until Midnight on Sunday, November 5th. But for a six month supply of CatwalkHQ goodies for absolutely free, just fill in the form below. Winner picked on Thursday, November 16. Win a HIIT Yoga Fusion experience!